A 2013 survey in the New England Journal of Medicine found that nearly 8-in-10 doctors approved the use of medical marijuana. 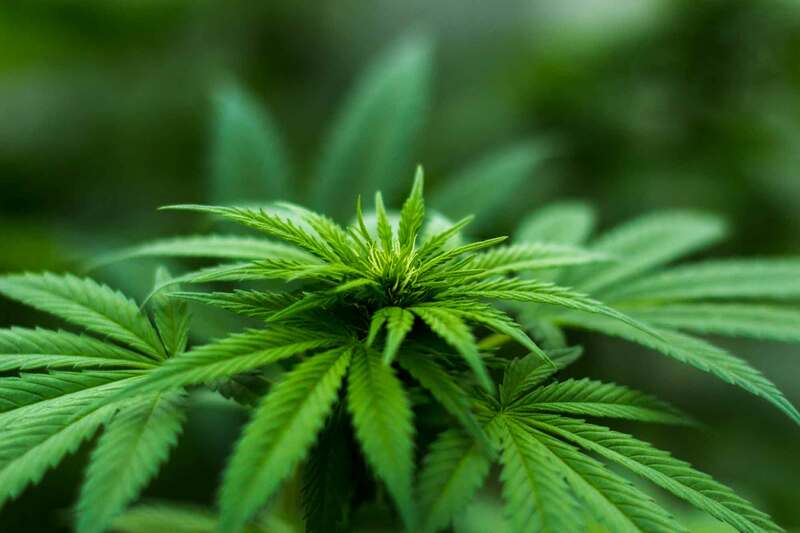 Now, a wide-ranging survey in California finds that medical marijuana patients agree: 92 percent said that medical marijuana alleviated symptoms of their serious medical conditions, including chronic pain, arthritis, migraine, and cancer. The data come from the California Behavioral Risk Factor Surveillance System, a representative health survey of 7,525 California adults produced by the Public Health Institute in partnership with the CDC. Researchers found that in total, five percent of California adults said they had used medical marijuana for a "serious medical condition." "Our study's results lend support to the idea that medical marijuana is used equally by many groups of people and is not exclusively used by any one specific group," the authors write. There were similar usage rates among both men and women. Adults of all ages reported medical marijuana use, although young adults were the most likely to use it. 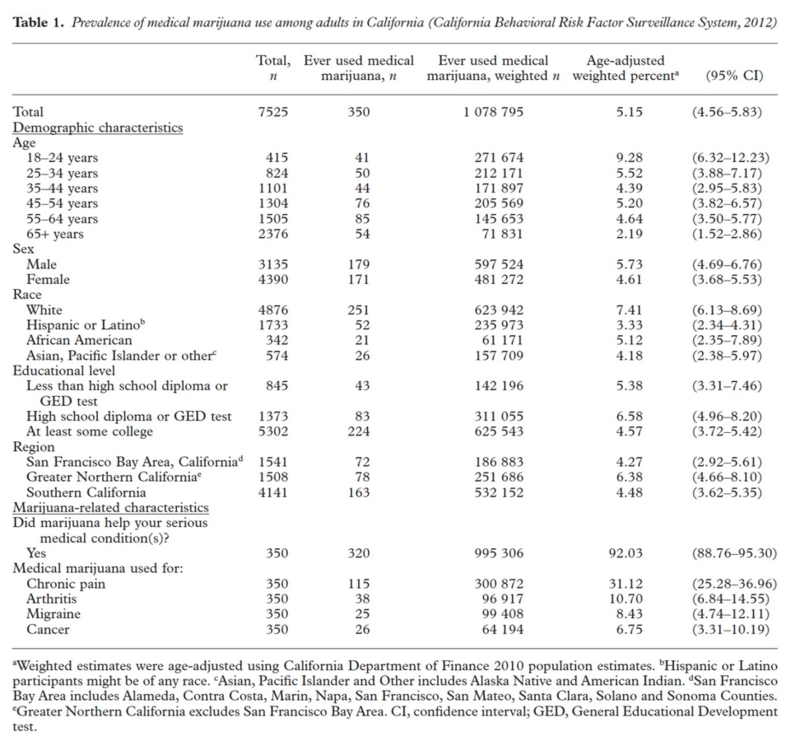 There were some small differences in medical marijuana use across members of different races, although the authors stress that "the absolute difference in prevalence between the racial/ethnic groups is less than three percentage points, which may not have much importance in practical terms." Despite being used in 23 states, medical marijuana still faces a considerable amount of skepticism. In an interview last year former New York mayor Michael Bloomberg called it "one of the great hoaxes of all time." California narcotics police lobbyist John Lovell said earlier this year that "California's medical marijuana law is a giant con job." This study refutes these notions. "Our study contradicts commonly held beliefs that medical marijuana is being overused by healthy individuals," the authors write. "The most common reasons for use include medical conditions for which mainstream treatments may not exist, such as for migraines, or may not be effective, including for chronic pain and cancer." In considering the efficacy of any kind of medical treatment, we should listen first and foremost to the patients. The debate over medical marijuana has largely been dominated by vested interests and advocacy groups on either side - patients' voices have been either silent or ignored completely.This study provides a helpful corrective, and in this case the patients are speaking loud and clear in near-unanimity: medical marijuana works. "In considering the efficacy of any kind of medical treatment, we should listen first and foremost to the patients."